Small ranch-style house at end of private wooded lane, tranquil and safe. Good for couples, solo adventurers, and families with kids. Patios on side and back. Central location and nearby conveniences. One block to Historic Elitch Garden Theatre, Sprouts Grocery, Starbucks, and 24-Hour Fitness. Walk .4 miles to Tennyson Street Shops or 1 mile to The Highlands, super popular neighborhood. Easy access year-round. Off-street parking for 2 cars. No need for a rental car unless you are going west. 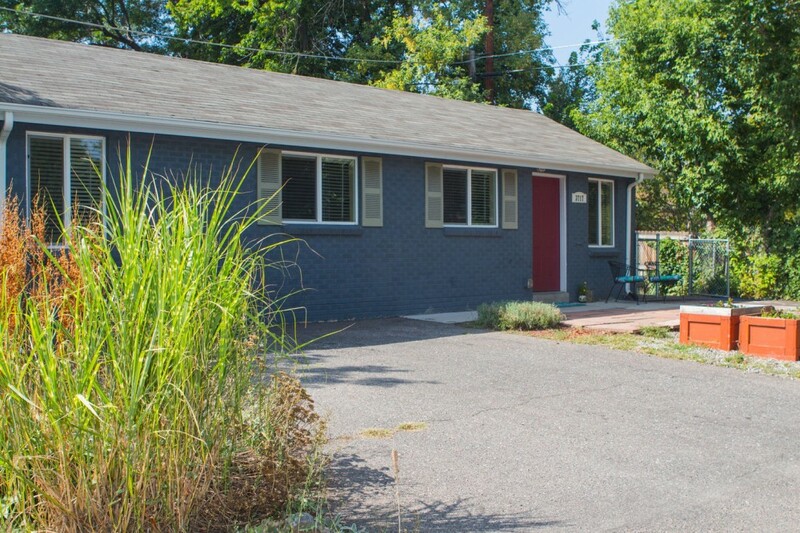 This is a very private but centrally located home in a great, old neighborhood. Tennyson Street and The Highlands shopping districts are within walking distance. The Highlands at 32/Lowell had a Farmers Market on Sunday mornings. The whole house and parking for 3 cars is available to you. It is easy to get downtown and the airport by going east on 38th Avenue via Lift, Uber or your personal vehicle. We enjoyed our stay at this cozy, well loc acted home. It is located in a very quiet, private area, yet convenient to everything. Ginny is a great host and is always available! Staying in Ginny's home was absolutely perfect for us. Her home was quite comfortable for us and fit our needs perfectly. Ginny was a great host. We definitely enjoyed our stay. The neighborhood was in a perfect location. A super cute, clean house that worked out great for my family of four. The neighborhood was in a perfect location. Close to restaurants, bars, grocery stores and a Starbucks right around the corner. Ginny was very prompt to get back to us if we had any questions. We had a great stay and would definitely re-visit this spot again. Great location. Super quiet, yet close to all the main attractions. Bed was one of the most comfortable beds we've ever slept in. Having a washer and dryer was awesome! We definitely recommend this place and Will stay there next time we are in Denver! This was a great place to stay. The location was awesome! !